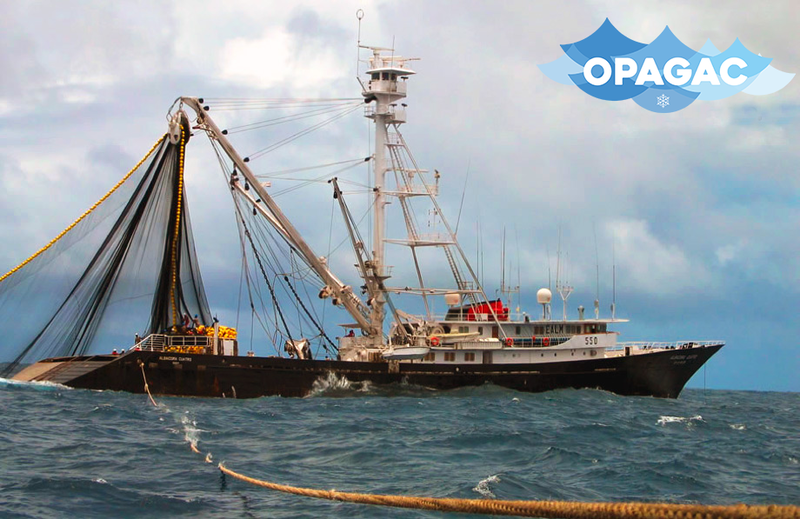 OPAGAC is an organisation of producers of frozen tuna recognized in Spain by the Ministry of Agriculture, Fisheries and Food through its subsidiary Agency FROM (Ministerial Order of July 7, 1986, published in the Official Gazette No. 169 16 July 1986 as Royal Decree 337/1986 and as EEC Regulation No 2062/1980). After the admission of Spain into the European Economic Community on 1 January 1986, the owners associated to AGAC presented to the Fund Regulation and Organization Products Market Fisheries and Mariculture (FROM) a proposal that was elevated to the Ministry of Agriculture, Fisheries and Food for OPAGAC to become the OPP-1 (Fish Producers Organisation no. 1), since it was the first Spanish organisation to present its credentials.